For years on EOSHD I’ve said that if Canon and Nikon don’t innovate with their DSLRs and transition to high end mirrorless technology they risk jeopardising their business. This advice has been met with an arrogance built on a decade of increasing sales. Now in an era of falling shipments both companies have blamed smartphones and the world economy. For me this is unacceptable, it’s all about the product. Sales are down because the products aren’t good enough. Sales are down every month this year compared to last. The peak months in each year are normally June and November. Taking the month of June as our sample, shipments have halved in two years. 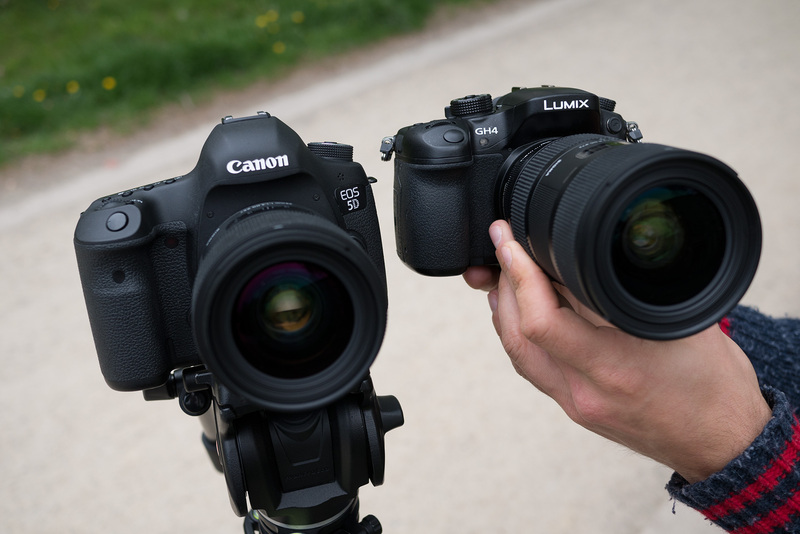 800,000 DSLRs in June 2014 compares to 1.2 million in 2013 and 1.6m in June 2012. That’s units shipped from the factories of all manufacturers, but mainly Canon and Nikon with the lion’s share of that and therefore most responsible for the decline. 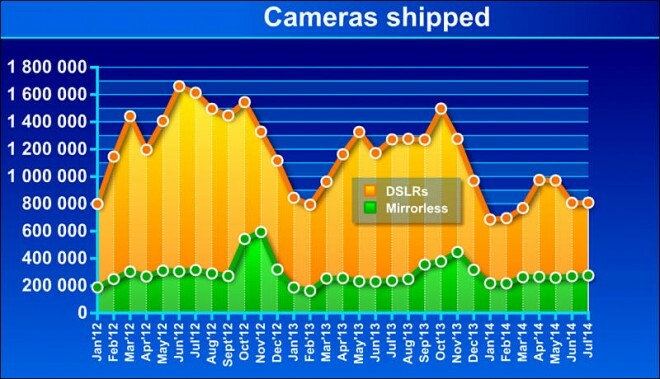 Meanwhile sales at mirrorless system camera manufacturer Olympus are up 22% year on year. There’s something even more telling from Olympus in America, previously a market where mirrorless has been a failure, sales in this region saw a huge 70% gain for the OM range. 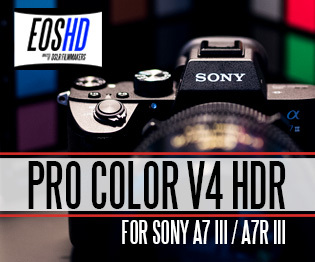 This is despite massive competition from Sony with the A7, etc. Panasonic and Fuji’s X range. The news comes on the back of Canon’s recent price drops on almost all their lenses which hints at lower sales with vital optics and not just the cameras. Canon are also lowering prices on their Cinema EOS C100, C300, 1D C and C500, the 1D C DSLR in particularly dropping $3k since release. Is the golden era of Canon at an end? Are they in trouble? That isn’t for me to decide. The consumer will decide. 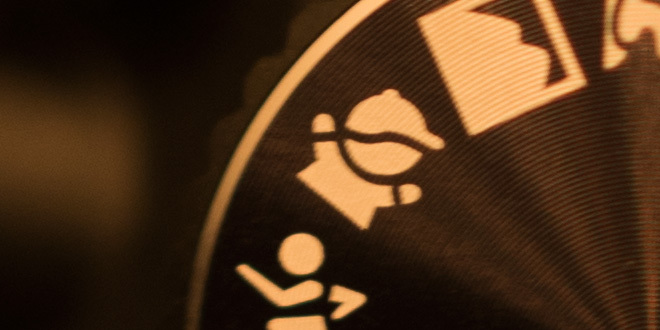 Canon rehashed the same old 2009 sensor in their APS-C cameras for 5 years and still haven’t replaced the 7D. In an era when people upgrade their smartphone and laptop every 12 to 24 months clearly this is out of step with the rest of the consumer market. The rumoured specs for the 7D Mark II coming at Photokina are tear-inducingly boring. In my opinion the 5D Mark III was also a lukewarm update to a very good camera, when it could have been genuinely innovative. 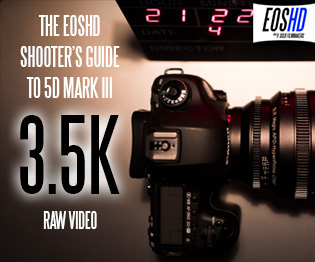 I know many stills people who didn’t bother upgrading from their Mark II. With Nikon the problem is identical in terms of conservative products but they don’t have the same diversity of business activities to fall back on as Canon. They’re also a much smaller company. Falling DSLR sales will hit Nikon even harder. 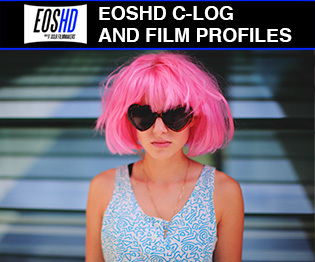 Canon’s other businesses notably the Cinema EOS line which hatched from video on their DSLRs have done very well. Sales of the Panasonic GH4 have been positive. The fact is, high spec video products are generally selling well yet stills cameras appear to be in free fall. Though the smartphone culture and economic issues are of course a factor, key to understanding why Canon and Nikon have failed to maintain their momentum in sales can be found in all aspects of their product lines, not just obsolete compacts or badly conceived mirrorless cameras. With regards lenses, Canon and Nikon have a vitally important and cherished range of legacy of glass to sell which are designed for DSLRs and not mirrorless cameras. Some of the lenses haven’t been updated for over a decade and are outperformed by modern technology from rivals Sony, Zeiss, Sigma and others. The transition to mirrorless technology risks wiping out one of Canon and Nikon’s greatest legacies. In terms of the bodies, both companies found the winning formula and stuck to it while the market shifted slowly away. 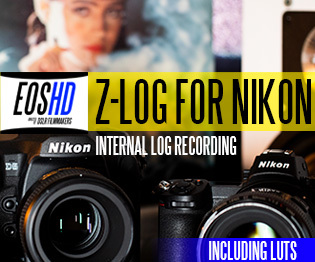 DSLRs must start to get interesting again. With video, neither company has really pursued a high spec hybrid stills / video approach like Panasonic with the GH4. 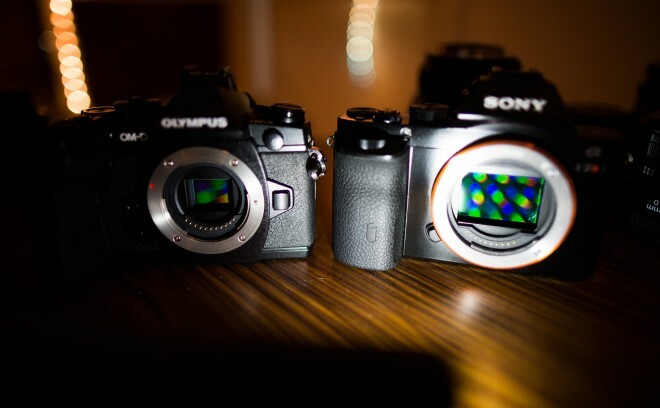 Video modes are still in the dark ages on DSLRs. As for apps & software now so vital in 2014, neither company has innovated in the apps or connectivity space. Photoshop, photo sharing, innovative apps like Hyperlapse from Instagram – all the big innovation is American. Japan does not seem to have the same software culture and remains largely hardware based. The failure to utilise smartphones is a big reason so many people leave their DSLRs at home more often and therefore don’t feel the burning desire to upgrade. Walking around with a DSLR really requires the camera to utilise a phone wirelessly with minimal power draw and no user assisted pairing on every connection. 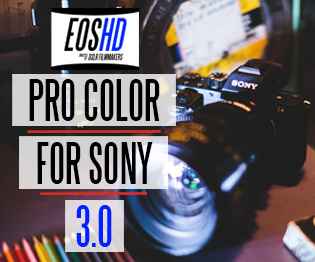 It should all be done on the camera side and as easy as pressing a single button to upload a photo to Facebook from the DSLR via the smartphone untouched in your pocket or bag. That this technology has still not been properly utilised is a business and creative failure. My own personal frustration with Canon and Nikon and why I rarely use their products any more in my own work is their failure to build on the promise of what they started with DSLR video in 2008, with the 5D Mark II and D90. Progress has been too tentative. It took Nikon until 2012 with the D800 to give us a worthy successor in video terms to the D90 and even then it was a heavily compromised camera for video where they could have given us a proper hybrid / video orientated camera. Canon meanwhile have pretty much starved their DSLR users of video performance or significant features since inception, over a long drawn out period of 5 years. Focussing heavily on the professional market with Cinema EOS, buzzwords like ‘added value’ essentially mean ‘high margin’ and therefore high profit. I do wonder if the profit they get from the Cinema EOS business is a big enough counterweight to the decrease in sales of DSLRs. Which business is more important? Even in the pro cameras current specs are dated compared to the competition in 2014. 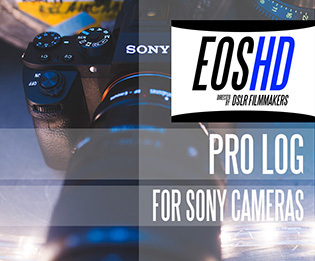 Equivalent performance can be had from consumer hardware like the GH4 and A7S for under $2500. In some situations such as low light (A7S) and resolution (GH4) the Canon C300 at $15,000 is outperformed by the consumer stuff. It’s completely unacceptable! Pro gear should be a world apart in performance from the cheap stuff and not merely an excuse to increase margins. The experience of shooting with a DSLR is stuck in the past and needs to adapt to the modern era. First of all there needs to be a high end full frame EF mount camera with an EVF. The best EVF today (in the Fuji X-T1) is a more useful and functional tool than the optical viewfinder in the 5D Mark III, and you do not have to go to a mirrorless mount to implement an EVF. Just get rid of the mirror. This model should do video to the same standard as stills. It should be 4K and have a silent shutter, because clanking mechanical mechanisms belong in the past just as 1080p with moire does. The ergonomics need to be revolutionised. The P-S-A-M mode dial is nonsense in 2014. Only one mode is needed, an M mode where individual settings can be toggled to auto, with a full auto / full manual button at a single press. If I want aperture priority I set everything else to auto and put aperture under my control. If I want full auto I hit the full auto button and hit it again for full manual. If I want programme auto I already have it and if I want shutter priority I simply take control of the shutter and leave other stuff on auto! Focus points should be moved around on a dedicated touchpad. Not on a rear facing touch screen in an awkward place, but usable with one hand on the camera and one on the lens. Ditto the magnified focus assist should be shifted quickly around the frame with a single flick of a finger. Mirrorless cameras are not for me about small size, rather the performance they offer above a DSLR. 5 axis image stabilisation, 4K video, S-LOG 2, better low light performance, EVF, better live view, faster AF in low light – all of these vital specs are to be found in mirrorless cameras but not high end DSLRs like the 5D Mark III. While this technology will lower margins initially, in the long term it’s vital to keep pace. If Canon and Nikon don’t start this process soon and do it right, then the market for DSLRs will face the same painful ‘reset’ that all technology comes to at some point, there the legacy aspects of the product need overhauling in the face of obsolescence and disappearing customers.